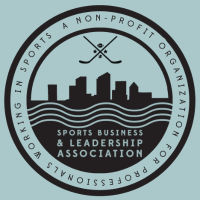 “The Sports Business and Leadership Association (SBLA) is a 501(c)(3) charitable organization made up of professionals working in the sports business industry dedicated to providing children in each of our Chapter communities (Miami – Tampa – Jacksonville – Denver – Chicago) with the resources necessary to engage in unique sports experiences or to attend sports camps. Our goal is to change children’s lives by providing these opportunities and assisting them to pursue their dream of playing a varsity sport in college or motivating them to reach for higher goals not previously thought to be achievable” said David Lisko, President of SBLA. The SBLA’s core mission is to organize a group of professionals working in the sports business industry to discuss trending sports business issues. The SBLA’s members are professionals working in the sports business industry, current and former athletes, members of the United States Armed Forces, and members of the public who are interested in sports business trends and concerns. The annual membership fee for SBLA Members is $50 ($25 for students) but is subject to waiver upon a presentation of special circumstances. Each SBLA chapter meets regularly in their respective city to host speakers, to discuss trending sports law issues, and to organize and discuss fundraising events and other matters of concern. At least twice annually each chapter organizes and hosts a fundraising event to raise money for the SBLA Scholarship Program. Each year at the Sports Lawyers Association Conference the SBLA honors a sports business leader with either a SBLA Sports Professional of the Year Award or Lifetime Achievement Award. Several organizations are partners with SBLA such as the Miami Marlins, Holland & Knight LLP, Orlando Magic, Just A Kid Foundation, Sports Lawyers Association, etc. To learn more about SBLA and to join, click here.